One of ten $100.00 10-gallon GloFish aquarium kits, GloFish fluorescent shark and more! 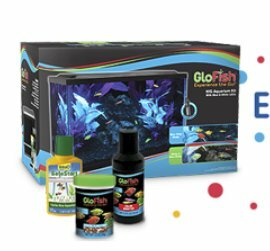 Be one of five lucky winners to receive a 10-gallon GloFish aquarium kit! Win a $3,500.00 Trip for 4 to Myrtle Beach, SC. Entenmann’s Little Bites muffins are baked soft and moist using real ingredients like bananas, blueberries and strawberries! No High Fructose Corn Syrup, No Trans Fat.